This is the inside of the Pokeball Purse I make and sell on my etsy store. The picture in the listing is a little out of date. I started adding vinyl piping to the front and back seams to make the bag hold it’s round shape better. Here is what they used to look like before the piping. Here is the new Pokeball Purse with piping! So much better looking! But now it’s ridiculously thick. The front piece is two (top half and bottom half) pieces of vinyl sewn together in the middle with the black “button” piece sewing on top. Add the two layers of vinyl for the piping and the side piece. 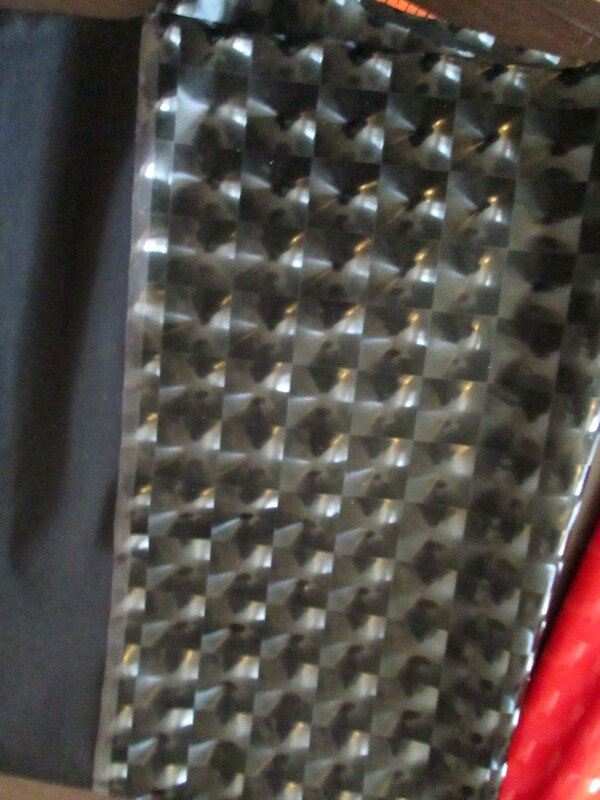 All that makes a seams that is five layers of vinyl!! That’s not including the two layers of cotton lining or the other two layers of red vinyl bias I sew around this raw edge to make it look pretty on the inside. I could never have done it without my industrial walking foot machine! This badboy right here is my pride and joy! He’s my favorite machine! Shhhh…don’t tell the others! So as you know I was using my new embroidery machine to stitch out some cute little hair clips. It started with a pumpkin and went from there. Here are the finished products. So I’ve been keeping my promise of posting at least once a week to my readers. This week I visited Dallas Texas. We we’re thinking about moving there. We went there thinking it might be better than Phoenix but we were wrong. People were not as friendly as we were lead to believe. We couldn’t get anyone to show us a house or anything. It was like pulling teeth to get anything done. Dallas was okay as a city it just wasn’t for us. The best part about our trip was their awesome Fabric District! I’ve never seen so many warehouse fabric stores that could rival that of downtown LA. I really wish Arizona has something like that. As awesome as it was it still wasn’t worth the 16 hour drive. Here are some of the goodies I got. 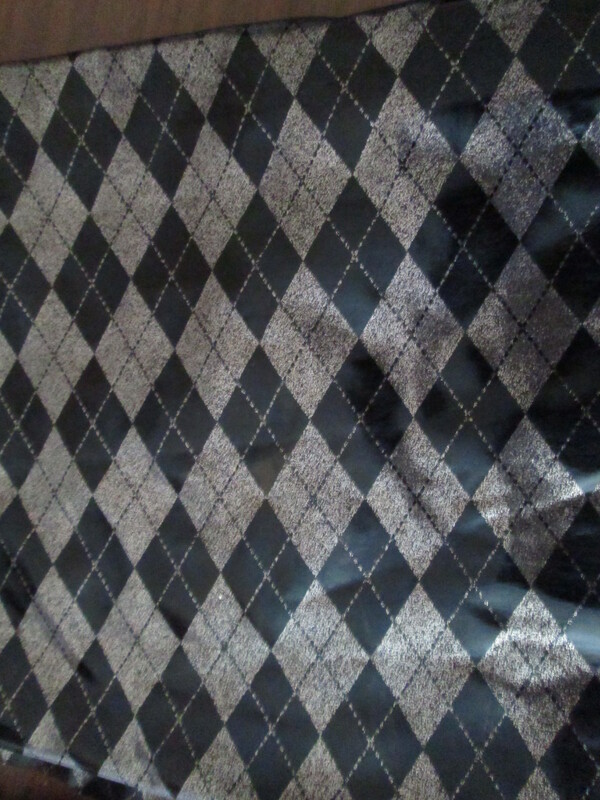 This is actually spandex fabric with an argyle print. Not sure what I’m going to do with it but it’s so freaking cute I just had to have a yard of it. 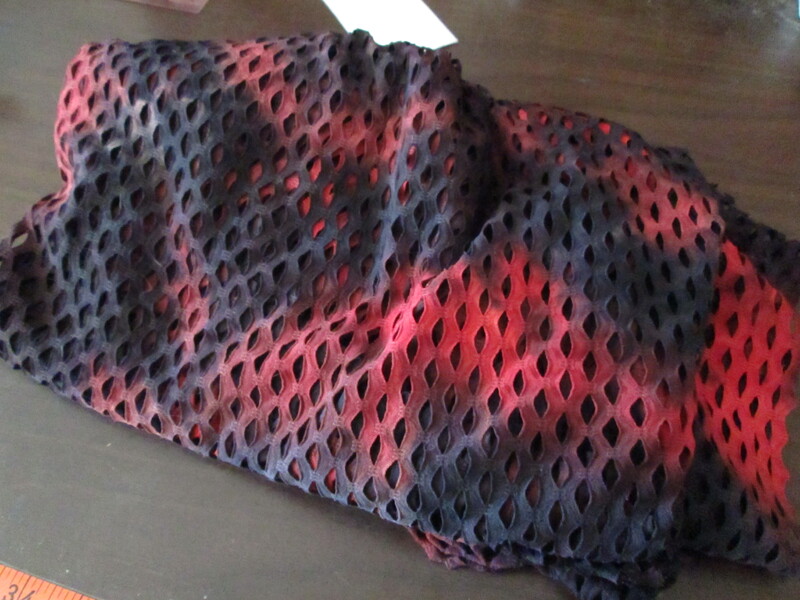 This stuff is also spandex that I don’t know what to do with but it’s really cool looking. Maybe if I reinforce it with some denim I can make a few bags out of it. I also got it in red cause it was that awesome. 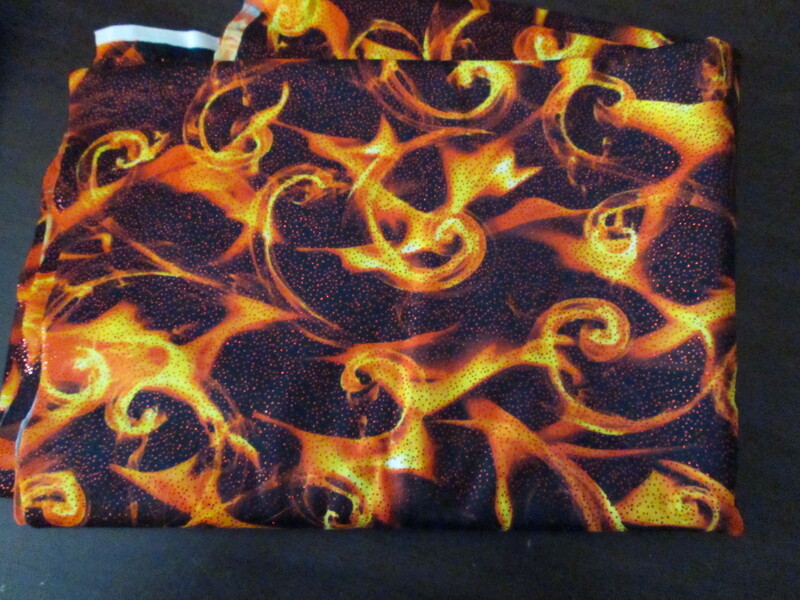 So that was my Dallas trip, a little disappointing but at least I got some cool fabric. Until next week. So I was cleaning up my apartment, specifically my sewing area and I realized I have too many unfinished projects. I really should get them all done. The problem for most of them is they’re still in the “design”. Most of them are bags that have been cut out already and have the main body ready to go, it’s just the little details that are elusive. Like what I should add to make it pop or give it that “WolfChild” flare. So this week I pulled out a few of them and just started doing the little things that need to be done with them like cutting out linings and sewing tags and pockets. All in the hope that that creative spark will fire and I’ll be able to finish them soon. I was able to finish two of them so far but my goal is to get my whole pending project drawer empty by the end of the year. I’ll keep you posted how it goes. Keep an eye on my store for new products. I made this coin purse originally in Black and Red vinyl with a more gothic look to help raise money for Japan’s Earthquake Diaster this year. I raised over $200 in just about a month and was very please with the positive responce of the online community. I’ve been planning on making one in more tradisional style but it too me awhile to get it finished. Well, here it is, the Red and White Rising Sun coin purse! Hope you like it. I’m still donated money from these Japan themed items.